Our next speaker is going to ask some difficult questions—the really tough ones. What if we can’t reclaim a biblical text? 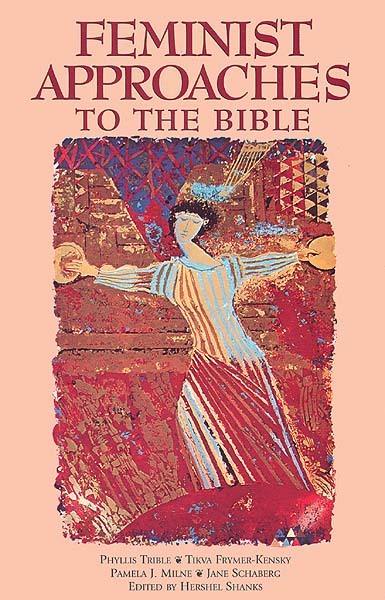 And what’s the history of the struggle to open the Bible to women? Pamela Milne is associate professor of religious studies at the University of Windsor in Ontario, Canada. She received her Ph.D. at Magill University and has done extensive research in Jerusalem at both the École Biblique et Archéologique Française and the William F. Albright School of Archaeological Research. She has also done research at Hebrew Union College and the University of Michigan. Professor Milne has published widely on feminist issues, and I must say, she manages to find the deeper issues in whatever she touches. For example, her next published paper is going to explore “gynophobic images”—that means women-hating images—in certain biblical texts. She questions our assumptions, and she makes us think. It’s a pleasure for me to introduce to you Pamela Milne, who will speak to us on rejecting the authority of the Bible.—H.S. In Western culture, the Bible has provided the single most important sustaining rationale for the oppression of women. The very structures of our societies are heavily indebted to the Bible in areas such as law, family, sexual mores and, of course, religion. Because these structures have institutionalized the second-class status of women, the focus of the feminist movement has been on fostering the kinds of changes that will improve the status of women.